Domain names can be of any length up to 67 characters. You don’t have to settle for an obscure domain name like avab.com when what you mean is AcmeVideosAndBooks.com. Having said that, there appears to be some disagreement about whether a long or short domain name is better. My view is long domains are ok – but don’t go beyond 4-5 words max. In Simple word, a UNIQUE(including dot ext) name in the web. According to wikipedia: A domain name is a unique name that identifies an internet resource such as a website. It is an identification string that defines a realm of administrative autonomy, authority or control on the Internet. Domain names are formed by the rules Domain Name System (DNS). Any name registered in the DNS is a domain name. The functional description of domain names is presented in the Domain Name System article. Broader usage and industry aspects are captured here. 2. Make Domain Name Unique Having your website confused with a popular site already owned by someone else is a recipe for disaster. Make sure the name you’ve selected isn’t trademarked, copyrighted or being used by another company. It could result in a huge legal mess that could cost you a fortune, as well as your domain! In order to avoid confusion or losing potential customers to a similar website, select a domain name that is distinct from existing websites. Avoid buying a domain name that is a plural version of an existing website or that is a .net when the .com is taken. Be Unique, Make sure It’s don’t conflict with other’s Brand Name. 4. Make it Easy to Type If a domain name requires considerable attention to type correctly, due to spelling, length or the use of un-memorable words or sounds, you’ve lost a good portion of your branding and marketing value. 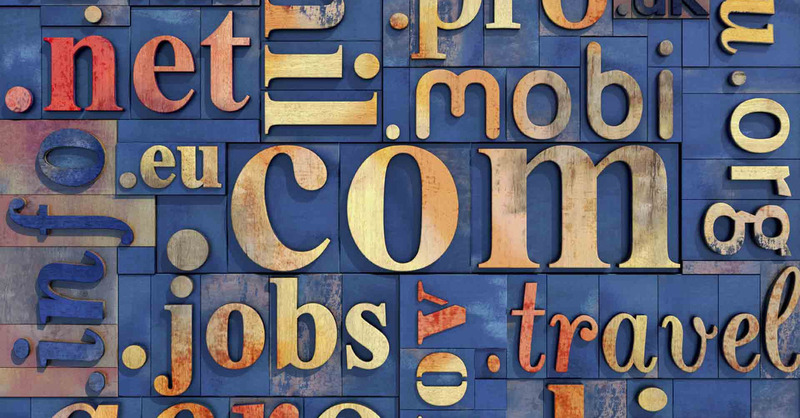 Finding a domain name that’s easy to type is critical to online success. If you use slang (u instead of you) or words with multiple spellings (express vs. xpress), it may be harder for customers to find your site. Make sure your domain name is memorable, easy to type and short. The longer the domain name, the greater the chance for misspellings. Try your luck, you will be very lucky if u can get one with top three Domain Name extensions. 6. Reject Hyphens and Numbers Both hyphens and numbers make it hard to give your domain name verbally and falls down on being easy to remember or type. Numbers and hyphens are often misunderstood — people who hear your website address don’t know if you’re using a numeral (5) or it’s spelled out (five) or they misplace or forget the dash. When telling people about your new website, you don’t want to get stuck in discussions on which symbol is a dash and which is an underscore. Avoiding punctuation is also a better practice for your site’s optimization. Choosing a good domain name for your product, service or business is not hard, but can be one of the most challenging steps in establishing your online identity. An aged domain is better than a new one, as Google ranks older domains higher. You can buy an aged domain from several sites online. But don’t worry, a brand new one is fine too, it will just take a little longer to rank. To rank higher, it is better to have a keyword or two in the domain itself. Domain names have a strong impact on SEO (Search Engine Optimization). When someone searches for a keyword or phrase on search engines like Google or Bing, these sites comb through millions of websites looking for websites that correlate well with these terms. Article based on web research. It’s a republish post based on the current changes on Domain Name registration.